Late Nite ‘DUB’ Addict is a DJ and Producer from the North of England.Late Nite ‘DUB’ Addict also known as – (Dan Smith) manages and owns his own independent record label – DEEP ‘N’ DOPE RECORDS (UK). He has already released (x3) singles under his Late Nite ‘DUB’ Addict guise and a further (x2) under his other alias Freak Inside. 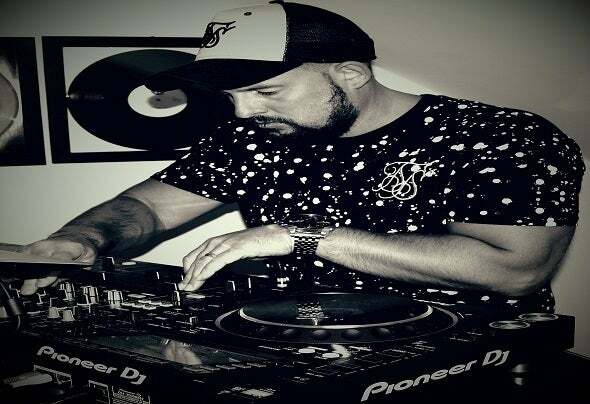 DEEP ‘N’ DOPE RECORDS (UK) has already received air play form Radio station’s from Vancover (Canada) and on Radio in (Mexico) as well as receiving Airplay from UK Radio Station (SUB FM).He said his Deep Underground style is heavily influenced by the US house scene in the Late 80’s and early 90’s and admits that the New York record labels – Nervous Records & Strictly Rhythm were his favourite imprints of that era. Artists that have influenced his style include Todd Terry, DJ Pierre, Mood II Swing, Masters At Work (Louis Vega / Kenny ‘DOPE’ Gonzalez), Cajmere , Green Velvet ,Carl Craig / Marshall Jefferson, Kevin Saunderson, Chez Demier, MK (Marc Kinchen), Kerri Chandler and the late, great, Frankie Knuckles. The heavily swung drumsof that era that was made famous by the Roland TR808 and Roland TR909 drum machines – is evident within his recent productions. A sound which was made famous by the (US) artists that he holds in such high regard.It is no secret that the ‘DUB’ Addict has a love affair with the Island that has always had music and especially house at its heart. The House music Mecca we all know as IBIZA. He loves the island that much he e states that he endeavours to visit the island at least once a year. When he first visited the island he fell in love with Sunset strip and more recently the famous Cafe Mambo. He was lucky enough to get invited to play one of his own tracks out to a packed crowd at the San Antonio house hot spot!!! Just before the well known sunset!! !He states this was definitely a defining moment in his career !!! A moment of which he states he will never forget.